Westfield W-League Week 5 Action—Canberra defeats Perth to create a four way logjam at the top of the table with only three games held this week during the Australian national team’s two game series versus China. 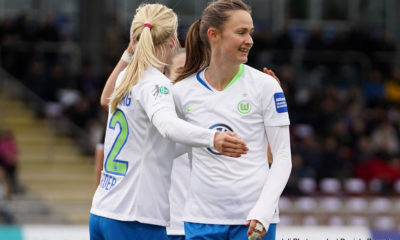 Canberra United defeated Perth Glory 3-2 at home on Friday November 24, with English international defender Laura Bassett scoring the winner, while Grace Maher and Amy Sauer also tallied for Canberra. 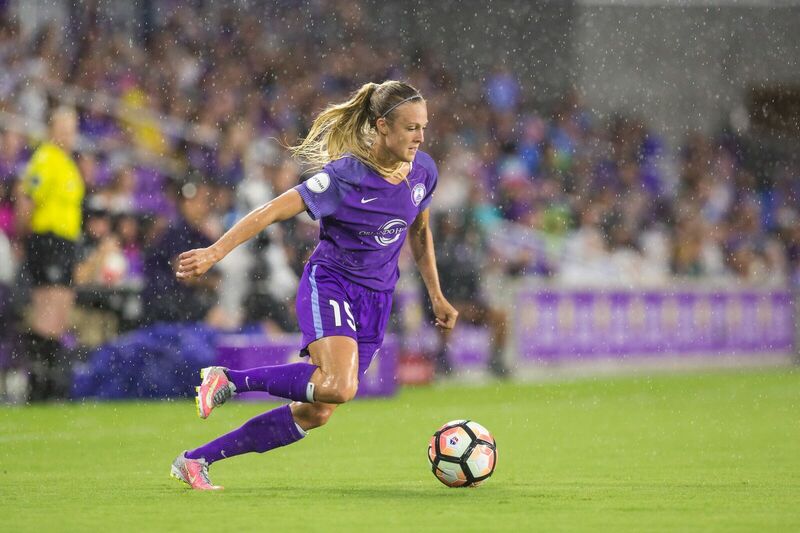 Orlando Pride American loanee Rachel Hill scored her seventh goal in five games for Perth, with substitute and Australian youth international Alexia Moreno scoring her first ever W-League goal late in the game. Perth entered the match with 9 points from 4 games at the head of the table with Canberra sitting on 6 from 3. Canberra now finds itself in a four way tie at the top of the table, with Perth Glory, Brisbane Roar and Newcastle Jets all on 9 points. Though missing two Matildas for national team duty–Michelle Heyman and Ellie Carpenter–Canberra signed Norwegian international forward Elise Thorsnes from Avaldsnes on loan for the remainder of Westfield W-League season. Thorsnes (29), who has played over 100 games for Norway, played the full 90 in her first club match outside of her home country. She scored the winning goal for Avaldsnes in the Norwegian Cup Final earlier this month and has over 100 goals in the Norwegian league. Seattle Reign goalkeeper Haley Kopmeyer and Orlando Pride defender Toni Pressley both played 90 minutes for the winners. For Perth, Boston Breakers defender Amanda Frisbie played the entire match. 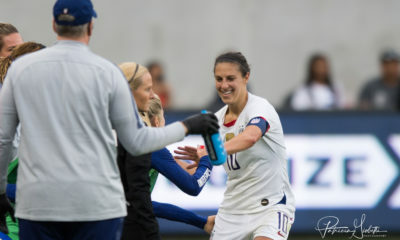 Sky Blue FC forward Sam Kerr was away on national team duty, where she scored two goals on November 22 as Australia defeated China 3-0. Melbourne Victory hosted Western Sydney Wanderers on Friday November 24 with both clubs on 3 points from 3 games. 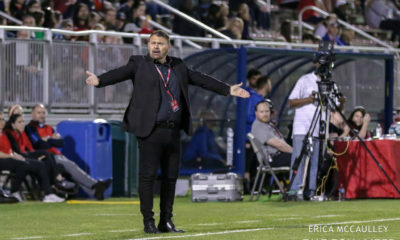 Both sides remained tied in the standings with 4 points each (tied for sixth but five points behind the top four) after a 1-1 tie in Melbourne, in a match that was interrupted by lighting. Erica Halloway gave Western Sydney the lead in the 42nd minute but Boston Breaker loanee and English international forward Natasha Dowie deadlocked the match in the 63rd minute. Dowie now has 3 goals on the season and 14 all-time with the Victory, tying Caitlin Friend (former Notts County forward in England) for the club scoring record. Seattle Reign American loanee Kristen McNabb played the entire match in defense for Victory, as did Dowie up front. South Korean international midfielder Jeon Ga-eul, who played briefly for the Western New York Flash in 2016 and has been mentioned as a possible target for the same club–now in Cary North Carolina–for the 2018 season, also played the entire match. For the Wanderers, midfielder Lo’eau LaBonta (on loan from NWSL’s Salt Lake City side) played the entire match. Newcastle started the season with two straight wins before dropping points to Melbourne City on the road (5-2) and to Canberra United at home (2-1). Their trip to South Australia was successful as they defeated Adelaide United 2-1 to pull into a four way tied at the top of the table with 9 points. Adelaide remains on the bottom of the table with Western Sydney on 3 points. 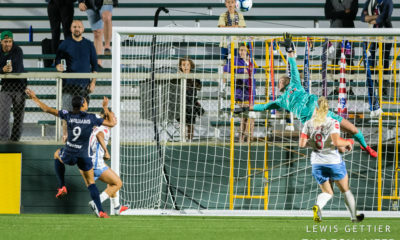 All the goal scorers were American, as Katie Stengel (Boston Breakers) scored her fourth goal of the season while Tori Huster (Washington Spirit) scored her first to give the Jets the points. 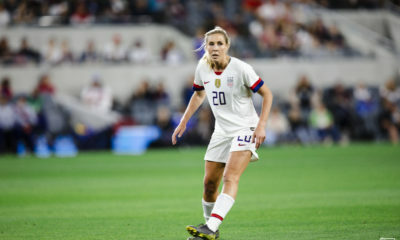 In addition to Stengel and Huster, midfielder Arin Gilliland (Chicago Red Stars and goalkeeper Britt Eckerstrom (Portland Thorns) played the entire match. Tim Grainey is a contributor to Equalizer Soccer. His latest book Beyond Bend it Like Beckham was released earlier this month. Get your copy today.